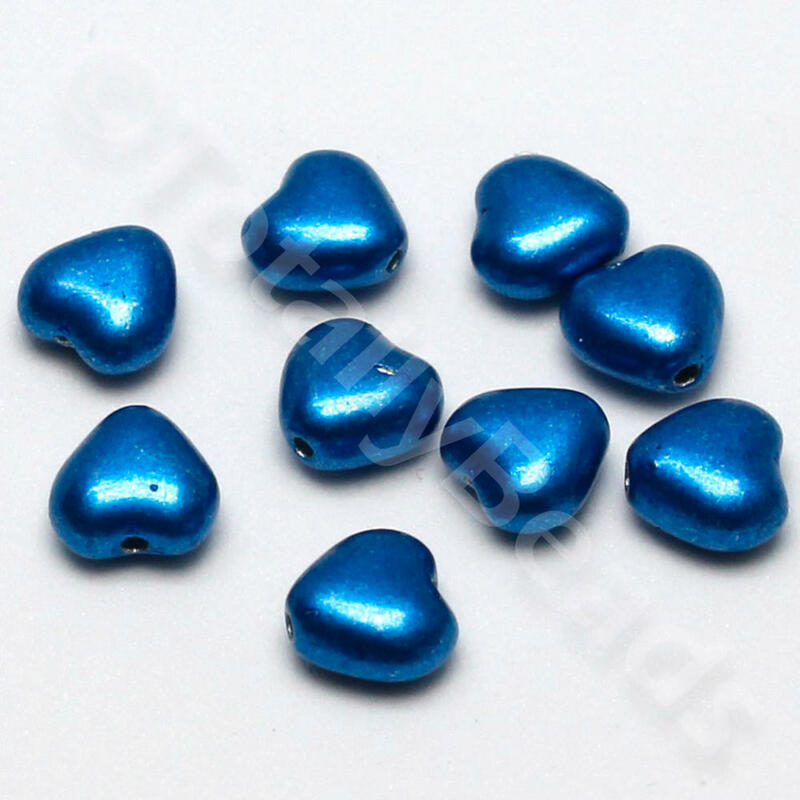 These heart shaped beads are made from Czech pressed glass. 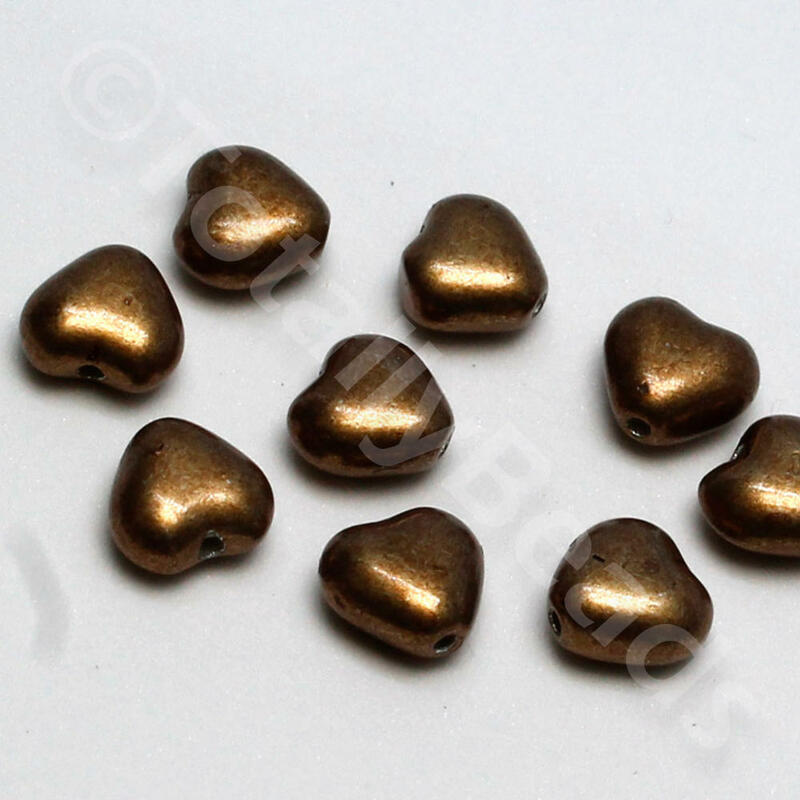 They are coated with different materials to give them their final appearance. 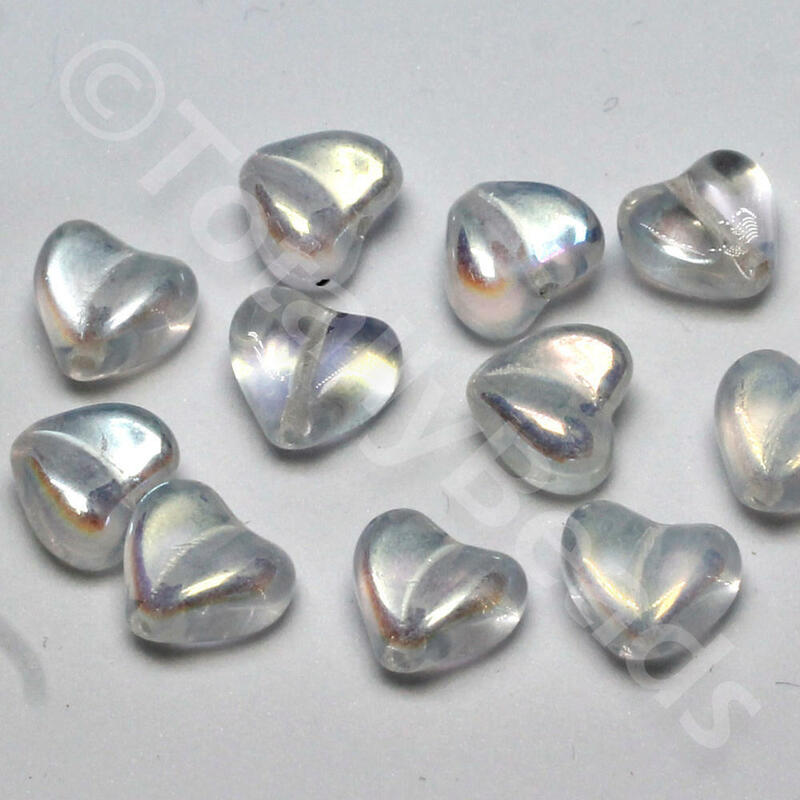 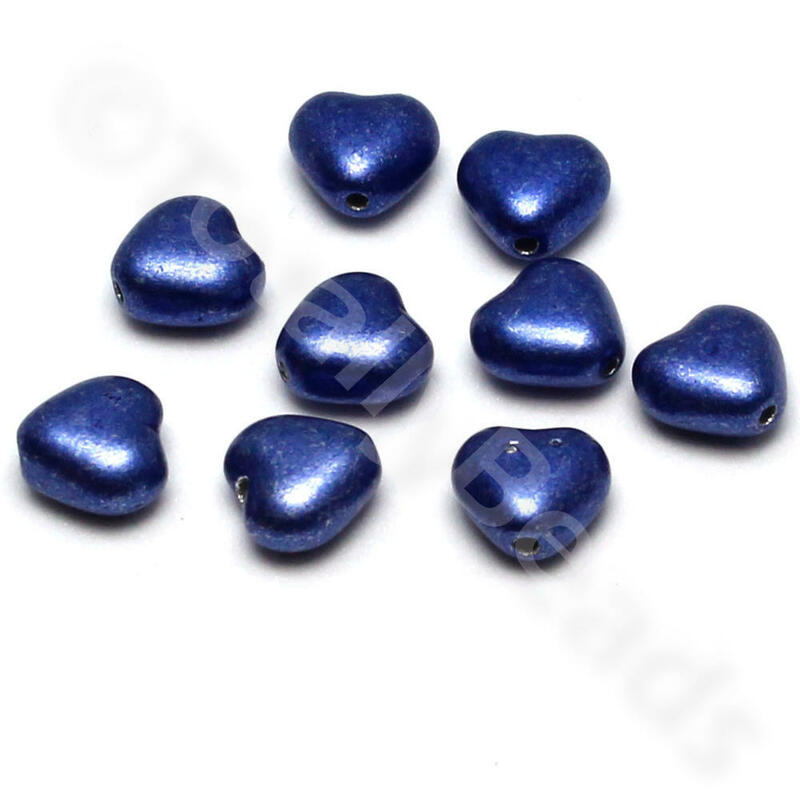 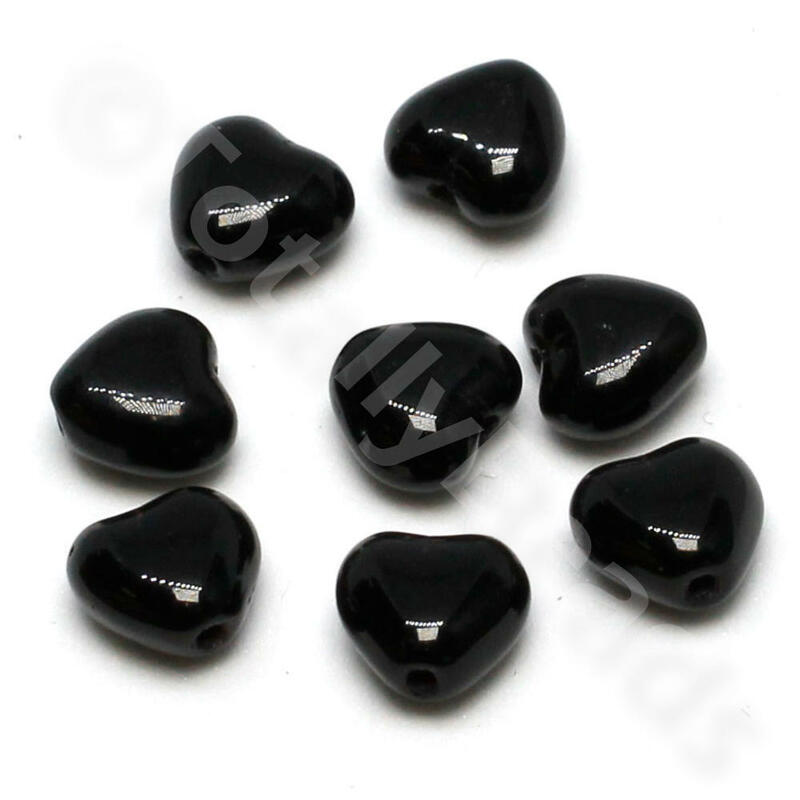 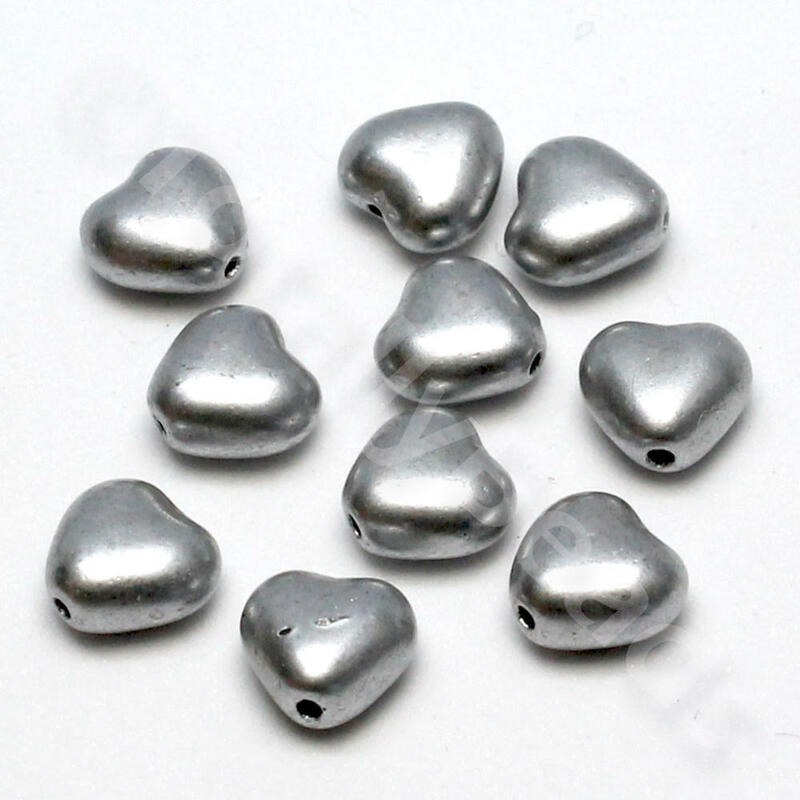 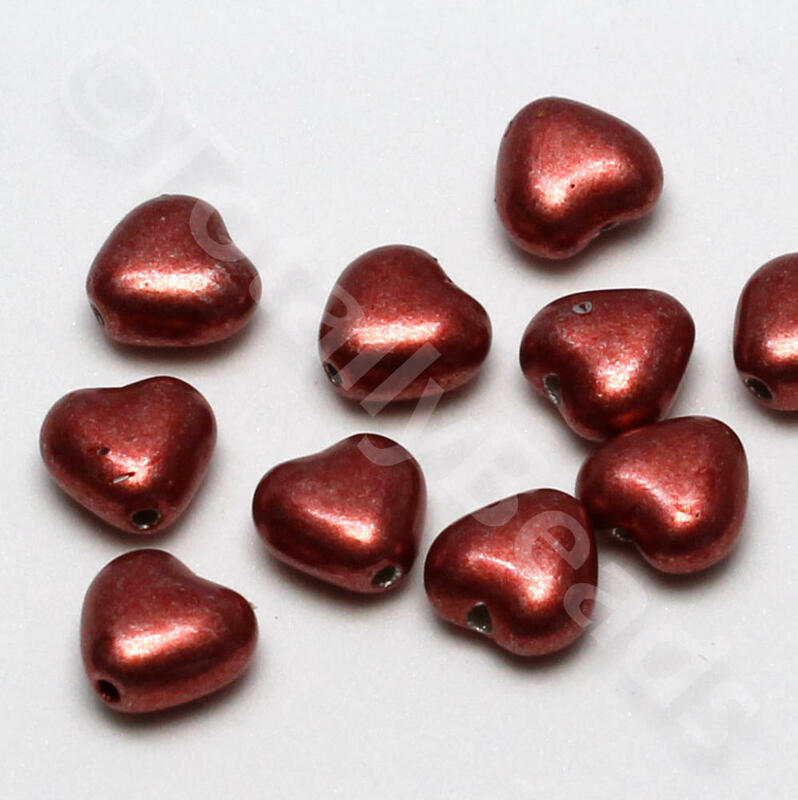 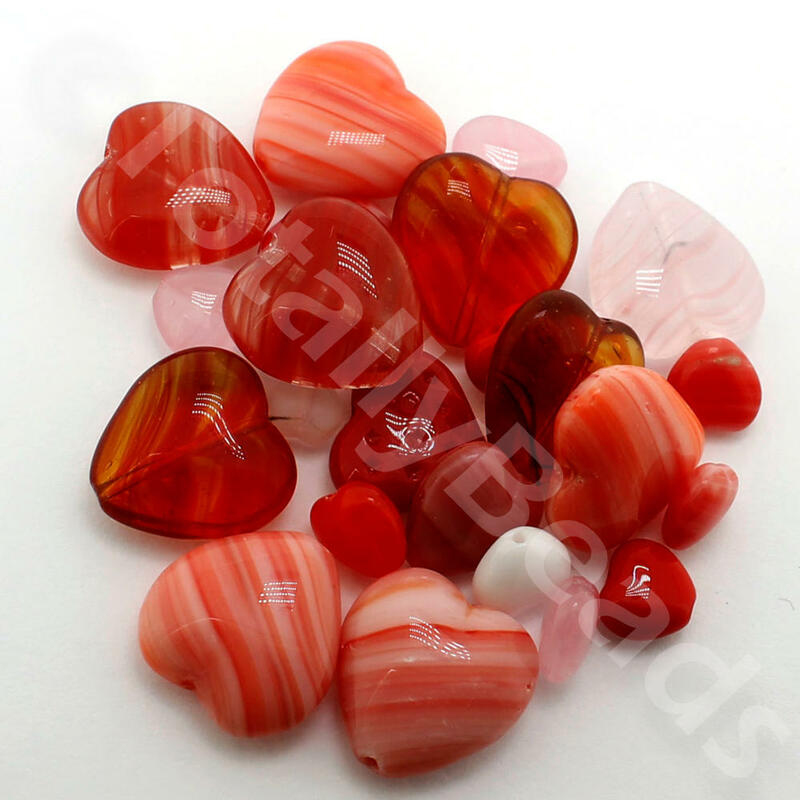 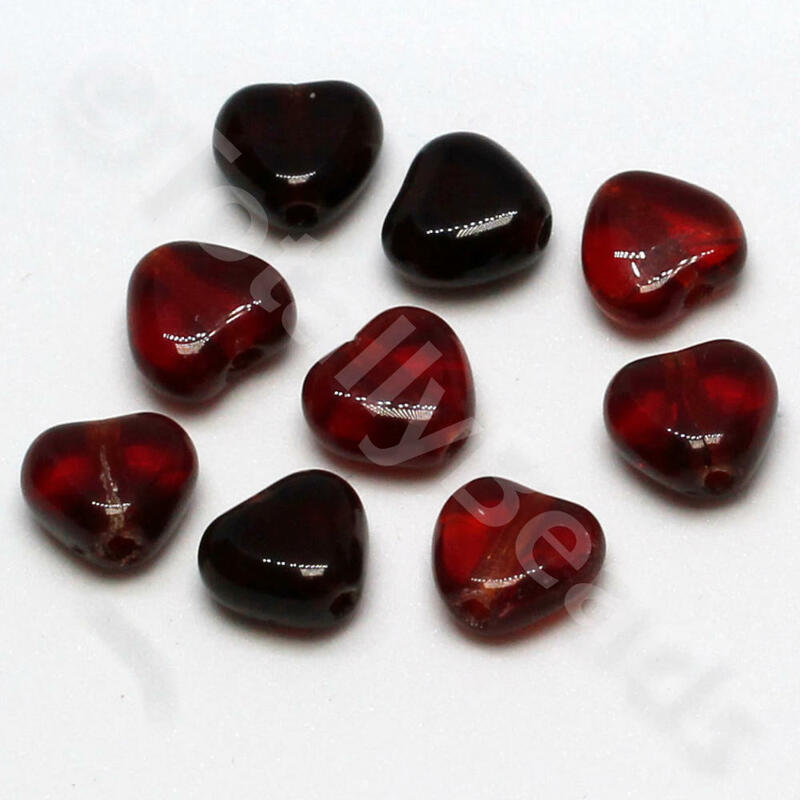 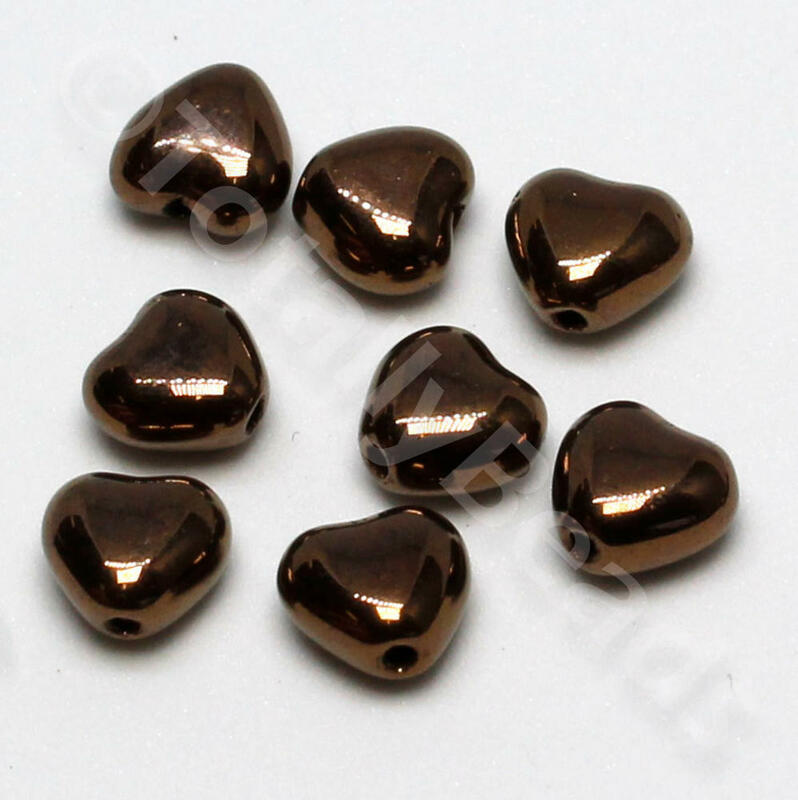 These are high quality glass heart shape beads with a good colour finish.